You're being bound here by invisible chains, yet you know you want to break free. Your friends are leaving, one by one. What do you do? archie426, DeathRaven359 and applqpak like this. What if I tell you that programming is my religion? Worship it, but don't let this place prevent you from reaching your full potential. DeathRaven359, applqpak, minebuilder0110 and 1 other person like this. DeathRaven359 and Jankirby like this. I've always thought you were a robot.... Are you? DeathRaven359, PocketKiller, Gamecrafter and 3 others like this. DeathRaven359, Jankirby, applqpak and 2 others like this. Kind of. But there is a working Windows installe right now. DeathRaven359, Jankirby, applqpak and 4 others like this. DeathRaven359, Tim // robske Büba, Jankirby and 3 others like this. @Tim // robske Büba if there are 500 in the review queue, there are 50000 rejected already. DeathRaven359, Jankirby, applqpak and 1 other person like this. You've been here for nearly 3 years... And you're still this active. How do you do it? I've been here for a year and a half and I've already burned out. DeathRaven359, Jankirby and applqpak like this. Obviously, we know that this place would be a lot messier if you weren't around. But you have to let them take care of themselves, you can't do everything for them. If you really want to get rid of the addiction, I suggest you start going on here less and less often, instead of the cold-turkey approach. Well, one thing is that I have a few projects that I really want to complete, but seems that I don't have enough time. I need to find a successor to my projects who will really look at them. Could I get 6000 likes before I reach 7500 posts? DeathRaven359, Jankirby, Tim // robske Büba and 8 others like this. So, you should know how to map mods using ModPE Script (Functions will be used as well :P)... or you do? 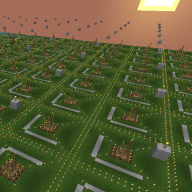 actually I meant "make mods for maps", although the only one that I did was a private ModPE script for my I-thin-it-is-so-legendary-people-will-all-love-it battlefield map. Before I joined communities, I even privately made an installer for the map, with translated guides, rules, texture packs, etc. Even a issue tracker form. HereAuth latest development build adds the /import command. Try it out! I don't think I ever asked about account conversions ? By "you", I mean all users. Attributes have been officially (partially) implemented in PocketMine! Fixes health issues! DeathRaven359, Jankirby, fycarman and 6 others like this. DeathRaven359, Jankirby, fycarman and 3 others like this. on forum list there are the total posts, and there are your posts, do [your posts]/[all post count] * %100. I'm just 22 likes behind the 4:5 likes-to-posts target! Or 28 posts ahead. DeathRaven359, Jankirby, fycarman and 1 other person like this. DeathRaven359, Jankirby, fycarman and 5 others like this. This is truly terrifying... https://pic.twitter.com/CvwIQxvR4Z WorldEditArt undo/redo system + load spreading system mindmap. DeathRaven359, Jankirby, fycarman and 4 others like this.